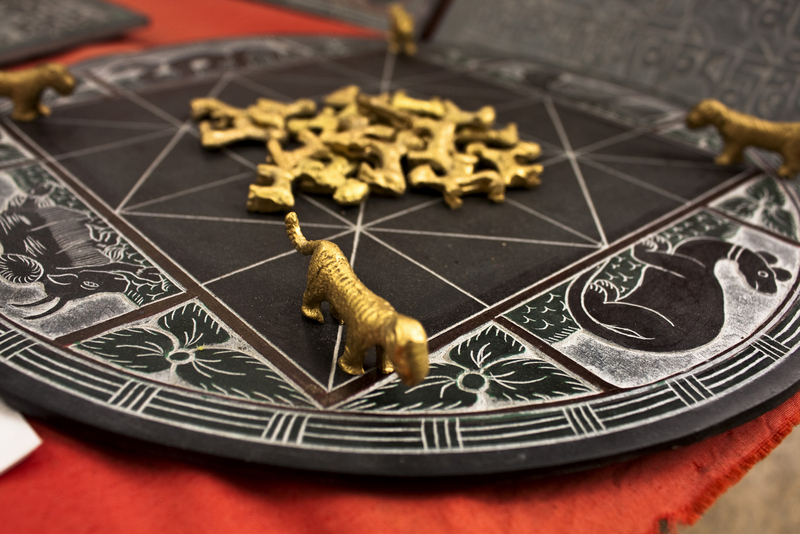 Bag-Chaal is an ancient strategic game that originated in Nepal . Two players take control of the tigers and goats respectively. Four tigers surround the goats with the tigers required to hunt the goats while the goats need to block the tiger’s movement.